I just think it is very well set up from day one to day five. Just SUPER GREAT details and plenty of time in each topic. The Instructor, Robert Doan, is simply amazing! He created a comfortable working environment, and navigated us smoothly to become a professional installer. I really appreciate Robert for creating this class and sharing all his experience!!! 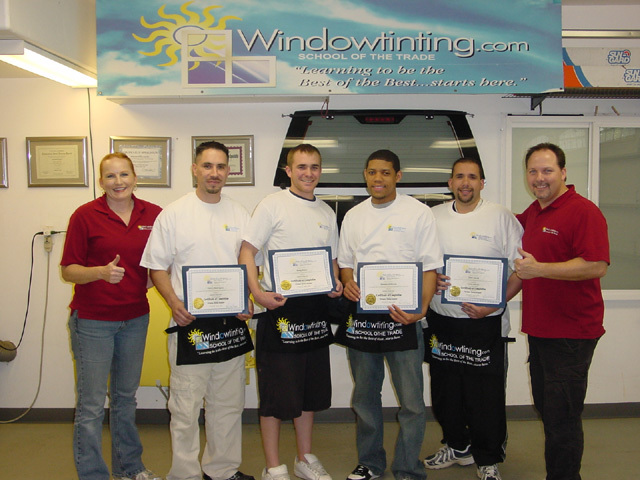 I came in with no knowledge or experience, but I am leaving with not only knowledge, but confidence and the ability to be a window tinter. The class is easy to understand and organized very well. WOW - GREAT JOB! You guys make learning FUN!! !